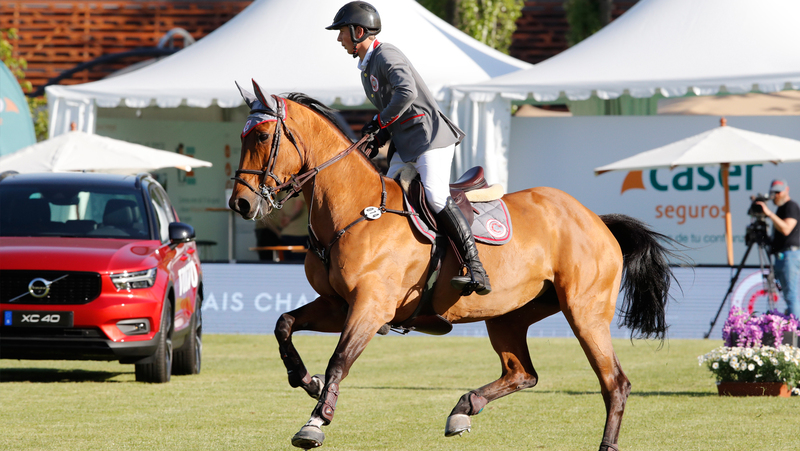 The first round of GCL Cascais kicks off today, with the rider line up revealed for tonight’s showdown under lights. Overall ranking leaders London Knights will have two young but experienced riders taking on the first round of action in Portugal, with Nicola Philippaerts and Martin Fuchs teaming up for the team this evening. Hot on their heels are Valkenswaard United who have the formidable pairing of Marcus Ehning and Alberto Zorzi - the team looking to put themselves in a strong position ahead of Saturday’s showdown. Miami Celtics will see the all-Irish team of Michael Duffy and Denis Lynch and Berlin Eagles will put forward star strikers Ludger Beerbaum and Christian Kukuk. Paris Panthers will be pulling out all the stops with Darragh Kenny and Gregory Wathelet taking the reins for the team this weekend. Similarly, Monaco Aces will field two of their strongest riders, leading French riders Simon Delestre and Julien Epaillard. Ones to watch are the Scandinavian Vikings, anchor Christian Ahlmann pairing up with Leopold van Asten for the first time this season and Rome Gladiators will see Marlon Zanotelli and Abdel Said - two riders who have won classes in Cascais - take centre stage for the team. The tried and tested duo of Daniel Deusser and Pius Schwizer will be last to go for the Shanghai Swans, the pair competing together for the first time at their home event in China. The event kicks off at 21:00 local time, tune in via GC TV and via Facebook Live. For the full rider list, please click here.